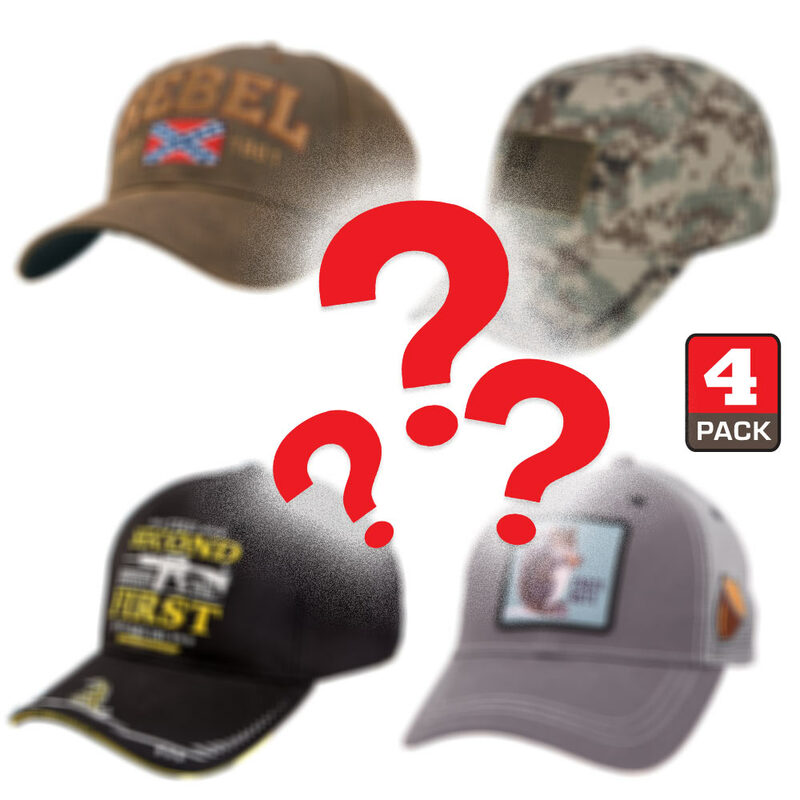 Mystery Hat 4 Pack - Unbelievable Deal! | BUDK.com - Knives & Swords At The Lowest Prices! Mystery Hat 4 Pack - Unbelievable Deal! Unbelievable value at under 5 per hat! Step up your hat game with 4 hats for 19.99. Our loss is your gain with this once in a lifetime overstock liquidation. This unbelievable deal will allow you to have a new hat for almost every day of the week. Designs will change weekly, so you could order twice in a month and potentially not receive any of the same design. Get this great deal now before it's too late, quantities are limited and when they are gone, they are GONE!